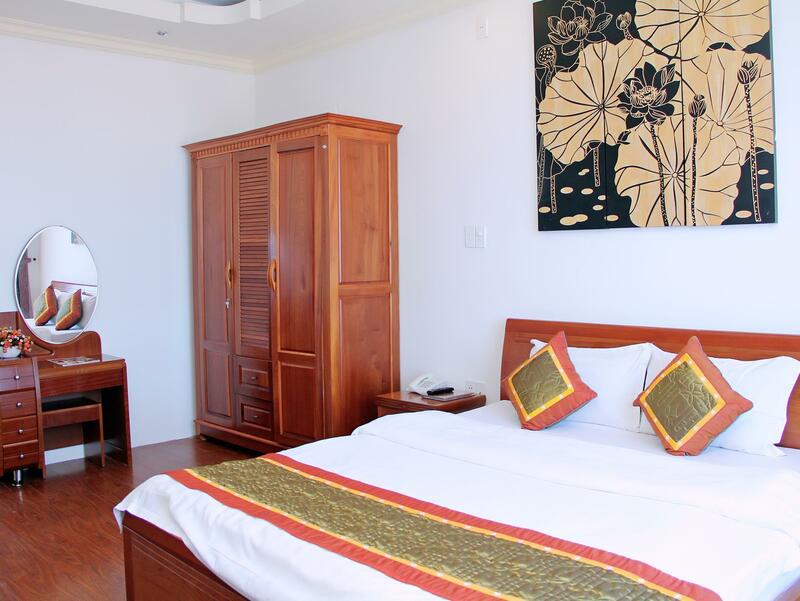 "The hotel is suitable for both tourists and businessmen for..."
Have a question for Lion Sea Hotel Danang? "The hotel has large, nice garden bar, and nice restaurant." "Very enjoyable stay, room was pleasant overlooking the sea." 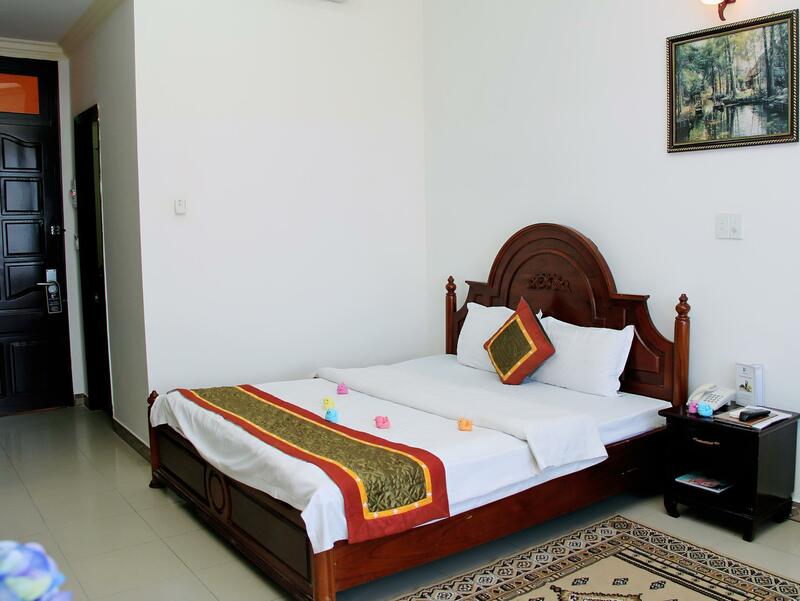 "We stayed at 3rd floor, the highest floor where you can enjo..."
Set five kilometers from the airport, Lion Sea Hotel Danang is located on My Khe Beach. Guests will find air conditioning, a desk, hair dryer, and Internet access. This property boasts 24-hour room service, an elevator, coffee shop, laundry service/dry cleaning, restaurant, room service, safety deposit boxes, and a salon. Unwind after your day in the gardening for some peace and relaxation. A convenient location, a dedicated staff, and first-rate facilities make this hotel a favorite among travelers. 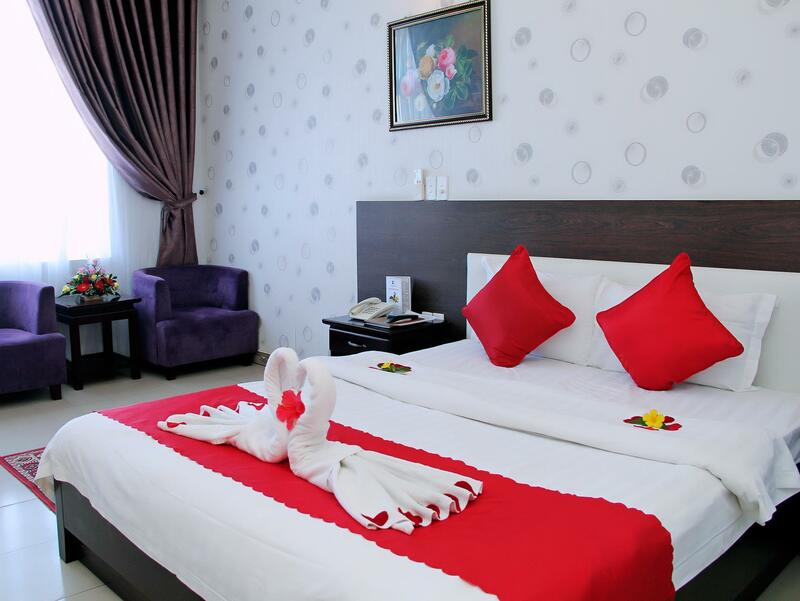 Lion Sea Hotel Danang can be easily booked with our secure online booking form. Simply enter your dates and click to proceed. "Great location directly across from the beach." Breakfast type may vary depending on number of guests. Please contact the property for more information. 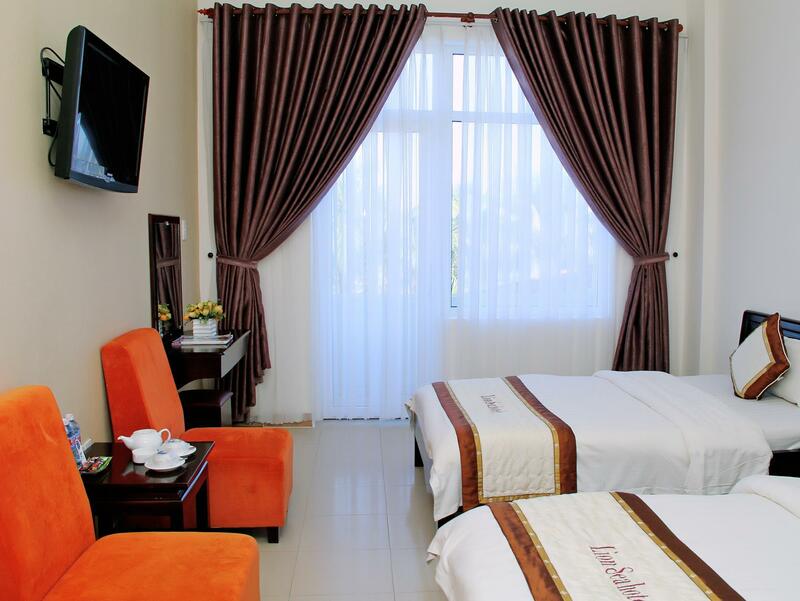 The hotel is suitable for both tourists and businessmen for a short and long stay. Good location, a few minutes walk to the sea. Large room ( DELUXE ) with a balcony overlooking the sea. Useful staff. A varied breakfast (buffet). Very reasonable price per room. Nearby there are a huge number of cafes and fast delicious food items. In general, I recommend. 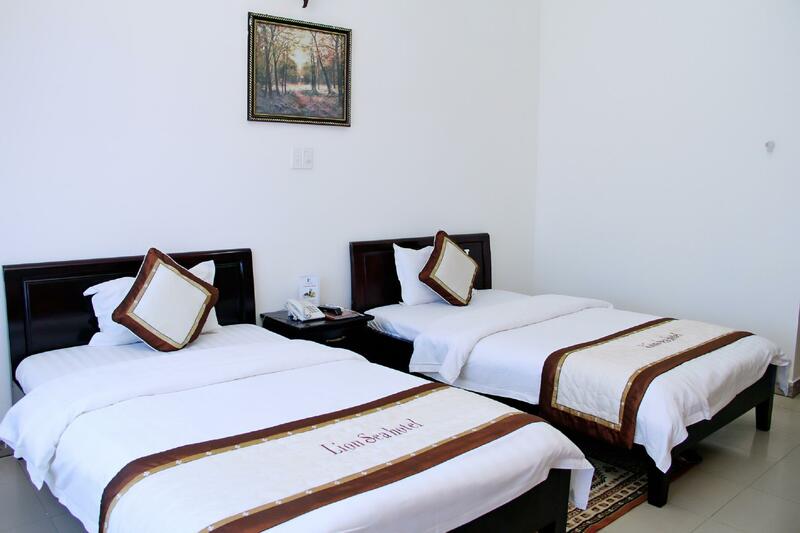 The hotel is suitable for tourists and business travelers for short and long stay. Good location, a few minutes walk to the sea. Large room with a window overlooking the sea. Useful staff. A varied breakfast (buffet). Very reasonable price per room. Nearby there are lots of cafes and fast delicious food items. In general, I recommend. It's just few second to walk to the most beautiful beach T20. It's just less than 10 minutes by taxi to the center of Danang. The hotel has large, nice garden bar, and nice restaurant. The staffs are helpful, nice, attentative! The buffe is ok for the price. my another extend night here, like the environment very much . but the staff in hotel never refill me the complimentary water bottle. no one approach to change me towel and also never refill toilet roll. the breakfast time limited, I was give up for the free breakfast due to they only serve from 6:30am to 8am. is was unfair for us especially i was spent the night at the bar until 2am. Great location directly across from the beach. Simple rooms with high ceilings. Not for light sleepers unless you get up early. Staff stay on sight and noise amplifies in the large corridors.. 4th floor rooms have the best view but they’re directly under the restaurant which gets noisy at 5:30am with chairs and tables sliding around. We were going to this hotel in November with very reasonable price. Excellent sea view from my balcony. Helpful Staff welcoming us very well. Notice that the spa is not working in low season. Breakfast is normal. This hotel is upgrading so that the lobby is not very clean. 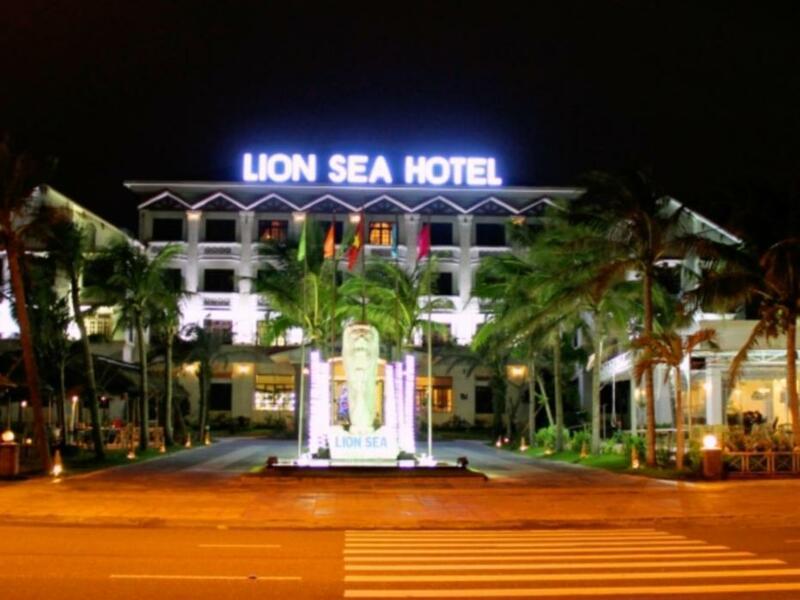 The Lion Sea Hotel is ideally situated on My Khe Beach, Da Nang. A short walk across the street is the 30 Km beach previously known as China Beach. In fact, the Lion Sea is on the same property as the former US military R&R spot known as the China Beach R&R Center. 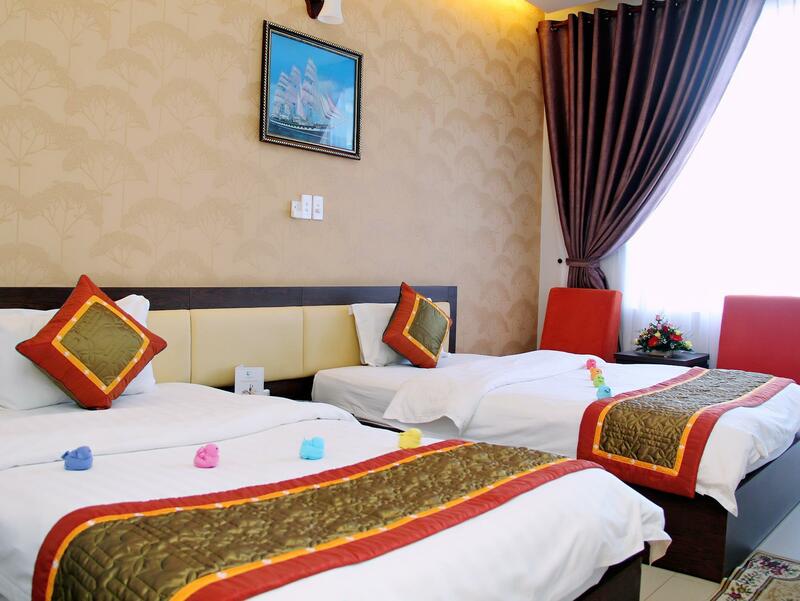 This hotel is used primarily by Vietnamese on a holiday to Da Nang and not appointed for international tourists. But international tourist seeking a reasonable room rate and great location should consider it. From the hotel, tourist destinations such as the Marble Mountains and Hoi An can be easily accessed by various modes of transportation. Not known until you arrive is the Lido Bar, a rave bar that pumps out loud music until midnight. The Lido is directly in front of the south wing of the hotel. The windows dampen the sound but if you are sensitive this will be an irritant. If you want to get to sleep early, I suggest getting a room on the west side or going north up to the quiet end of beach. In addition, there is construction of another hotel next door where work begins at 6 AM. All in all, the Lion Sea Hotel is in a great location and the staff are exceedingly friendly and helpful. The hotel is near the beach and the center of the city so it's very convinient for us to explore outside. The hotel's staffs are extremely friendly and helpful. They make our trip exellent! Well done! Keep it up! This is the best 3-star hotel I've ever stayed in Danang city. The hotel is near the beach and I could walk on the beach whenever I want. The room is always cleaned and nice seaview. The staff is very friendly and courteous. I'll come back again. I was stayed the hotel for one night, the room has balcony and was clean, comfortable. The staff very friendly and helpfull. Besides the bar in front of the hotel but there isn't noisy, I like that. This is a best hotel and I will never forget the time when they stayed at Lion Sea Hotel. Come back soon !!! It's the second time I've come back lion sea hotel and again lion sea to be a pleasant place to stay. Receptionist is helpful and friendly. My room was a good sea view and cleaned. The window was new changed so i did'nt hear the noise from beer bar garden. I was pleased with this trip and i will recommend to my friends to stay this hotel.